PIG TODAY- Fed's primal divide: Is economy overheating or stuck in a rut? Investors may be expecting a U.S. interest rate increase in December, but Federal Reserve policymakers remain divided over whether the economy is mired in a rut, strong enough to withstand an immediate hike or hovering somewhere in between. Speaking in the wake of the U.S. central bank's decision last week to hold rates steady, 10 Fed officials fanned out for appearances this week in a profusion of "Fedspeak" that markets and the public are trying to digest. The Fed raised rates last December for the first time in nearly a decade, and many investors currently expect it to raise rates again this December - but only with about a 55 percent probability, according to data from CME Group. With a potentially volatile U.S. presidential election and two months of economic data still to come, the Fed policymakers' remarks suggested the debate is far from over. "The low interest rate environment is not just a U.S. phenomenon, or simply a situation engineered by Federal Reserve policy," Chicago Fed President Charles Evans said in a speech to a community banking conference in St. Louis on Wednesday. "Rather, it is a global phenomenon with underpinnings in economic fundamentals" that are likely to persist. Two states eastward, in Ohio, the president of the Cleveland Fed, Loretta Mester, in contrast said it was a mistake to discard the standard practice of raising rates well before inflation rises. "Policymakers...should not throw out all that's been learned from past experience or be led astray by thinking this time is completely different," Mester said in her first remarks since she dissented against last week's decision and argued for an immediate rate hike. She warned against a too-cautious approach given the Fed's progress on jobs and inflation. "Status quo is always attractive. If we wait to every data point lines up, we surely will get behind the curve," Mester told reporters following her speech. Kansas City Fed chief Esther George, who also dissented last week, offered a similar view. She told a forum for minority bankers that while she is "not interested" in braking the economy, rates should rise "slowly but surely" or the Fed could find itself later having to raise them aggressively. Toward the middle, San Francisco Fed President John Williams said on Tuesday that it is getting harder and harder to justify low rates, and warned against getting too "greedy" on trying to push down unemployment. On Wednesday, Minneapolis Fed President Neel Kashkari said that rates could stay low for longer because there are no signs of inflationary pressures. "The economy still has room to run before it overheats," Kashkari said. Other regional Fed presidents and Fed Governor Jerome Powell are due to speak on Thursday. The most influential voice, Fed Chair Janet Yellen, has kept her options open, saying she feels the case for a rate increase is strengthening, but also saying the economy still had "room to run" on job creation. She testified before the U.S. House of Representatives Financial Services Committee on Wednesday in a hearing that dealt largely with the Fed's regulatory role and changes it is considering to its annual stress tests for banks. 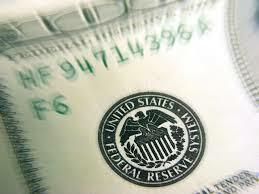 Evans' comments highlighted the Fed's dueling visions over where the economy stands eight years into an uneven recovery. Mester and George were among the three regional Fed presidents who dissented on last week's rate decision, and others have cited the need for the Fed to act in time to prevent any rapid run-up in inflation. The competing body of thought, with strong adherents within the Fed's more influential, Washington-based board of governors, argues that the global and U.S. economies have become fundamentally sluggish in the wake of the 2007-2009 financial crisis. Evans said weak growth, an aging workforce and poor productivity may leave the U.S. economy stuck with low interest rates for years to come, and the Fed struggling to reach its 2 percent inflation target. As some in the financial industry press for higher rates to improve their lending margins, Evans offered a sobering counterpoint: It's not likely to happen fast. The steady decline in estimates of equilibrium interest rates, Evans said, means monetary policy is not as loose as many analysts estimate, there is less risk of inflation rising too fast - and less reason to move the policy rate higher. "U.S. policy today is less expansionary than what is often calibrated from simple monetary policy rules or other historical comparisons," Evans said. "The risk of overshooting our 2 percent inflation is lower - and the likelihood that we actually get to 2 percent is smaller." Evans told bankers they may need to plan carefully for a "new normal" of low rates, rather than hope for the return to an era when a larger gap between deposit and lending rates gave them more flexibility to compete. "We will likely be in a low interest rate environment for some time," Evans said. "This is one reason monetary policy is expected to normalize at a very gradual pace."